The big shot for 2018! 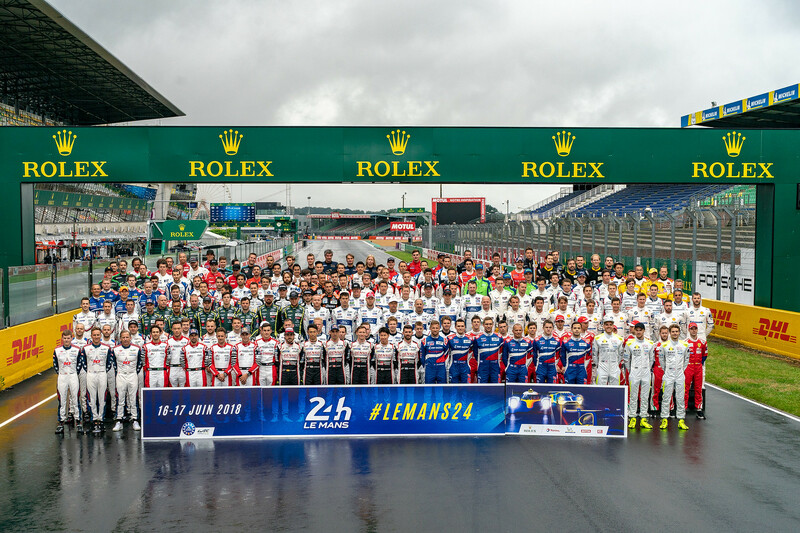 This morning, thankfully dodging the showers, the 180 drivers for this year’s 24 Hours of Le Mans, gathered together for the traditional group photo. It took place on the pit straight in front of the new Rolex bridge, and every driver was present from the 60 cars due to compete in the 86th running of the world’s most famous endurance racing (16/17 June). The start will be given by tennis superstar Rafael Nadal, winner last weekend at Roland Garros in Paris, and the guest of honour will be Hollywood star Michael Fassbender. Both men, together with Toyota Gazoo Racing driver Fernando Alonso, are ambassadors for the FIA’s #3500 Lives road safety campaign.